the life of a wife: Do you cook together? Do you cook with your significant other? I typically do all of the cooking (Caleb graciously does the dishes), but earlier this week we cooked dinner together. I love the idea of us both relaxing in the kitchen after work, talking and preparing dinner together. But of course it didn't exactly go down like that. We were both starving so the talking was kept to a minimum, and I was a hot mess having just finished working out. Caleb hates reading recipes so every time he needed a new job I had to stop what I was doing to look at where we were in the recipe to give him a new task. I put too much pasta in too small of a pot and the water kept bubbling over and burning on the stove top, so eventually we had to turn on the oven fan because of the smoke. And then you know there was no talking because that thing is so DANG LOUD. Anyway, despite all of the above, we had dinner on the table in just 30 minutes, which I absolutely love. 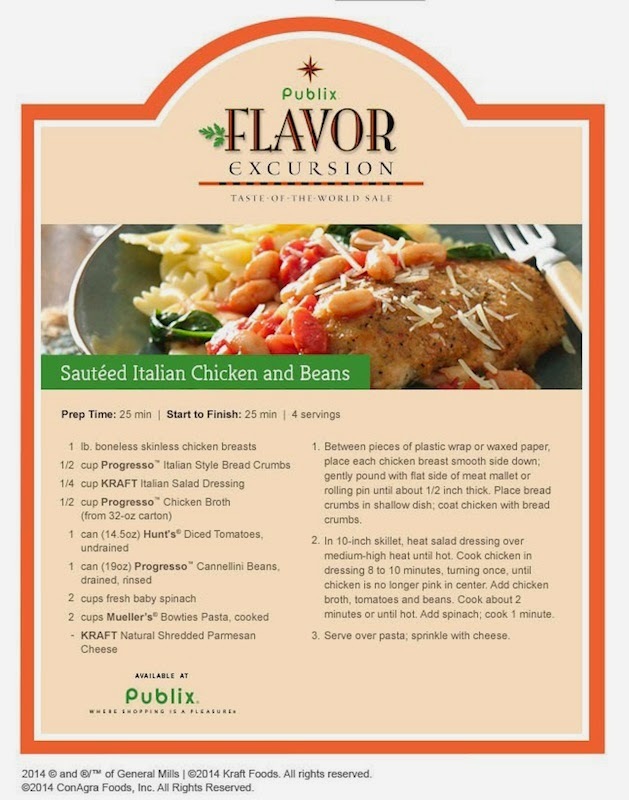 We made the below Italian dish, a recipe from Publix's Flavor Excursion sale. Lots of the ingredients are on sale now through September 24 at Publix, if you're interested. You can find more recipes and coupons here.